Vultures are incredibly diverse. There are over 20 species found across the world. 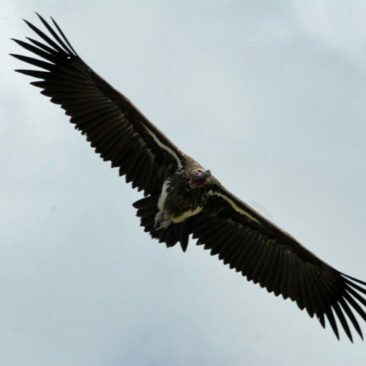 Vultures are found on every continent except Australia and Antarctica. Vultures lay only one egg every year or so. 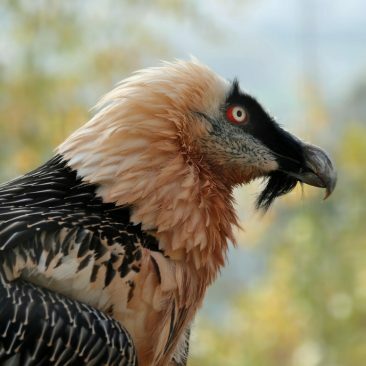 A vulture can eat up to 1 kilogram (about 2 pounds) of meat in a single meal. That’s over 10% of its body weight! In Asia, some vultures are almost extinct and have declined by 99% in just 15 years. Vultures have huge ranges. For example, researchers found a single vulture using all of Kenya, northern Tanzania, and even going into Ethiopia and Sudan. 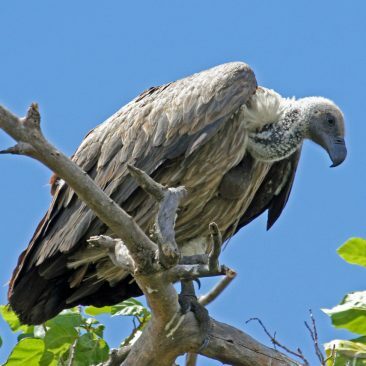 All vultures eat carrion or dead animals for at least part of their diet. 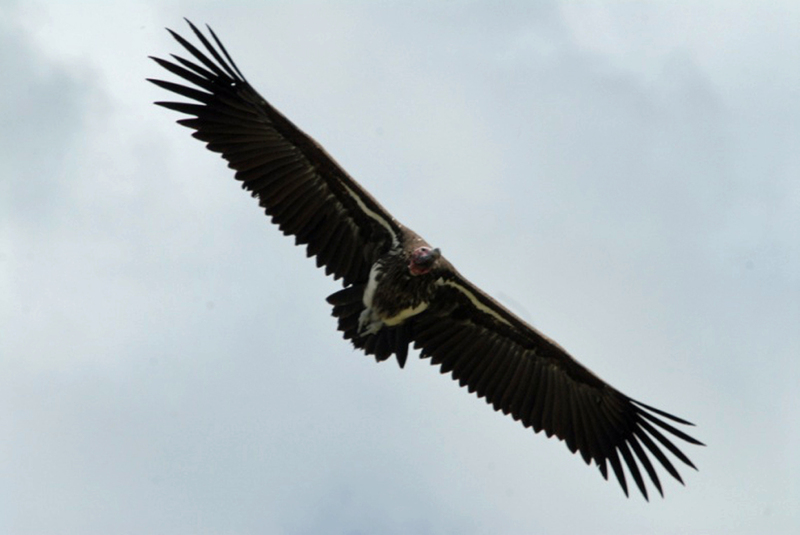 Vultures consume up to 70% of all the available meat in East Africa. 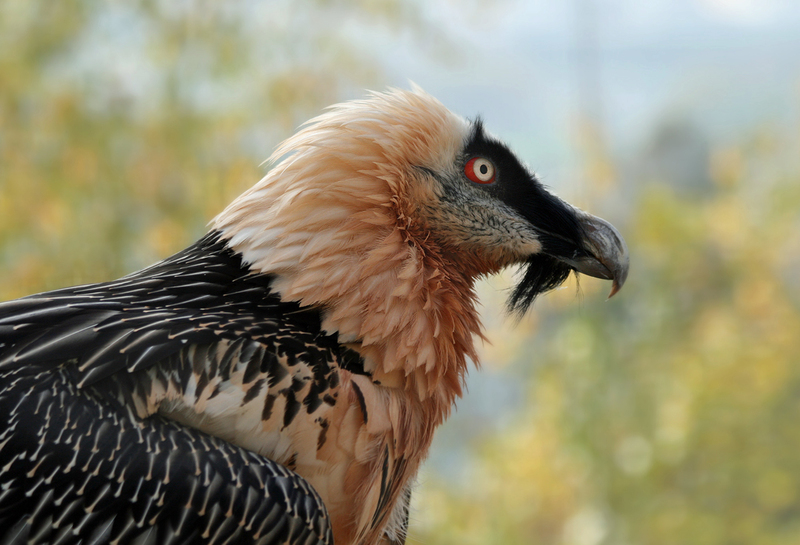 In ancient Egypt, vultures were used as a symbol of femininity. 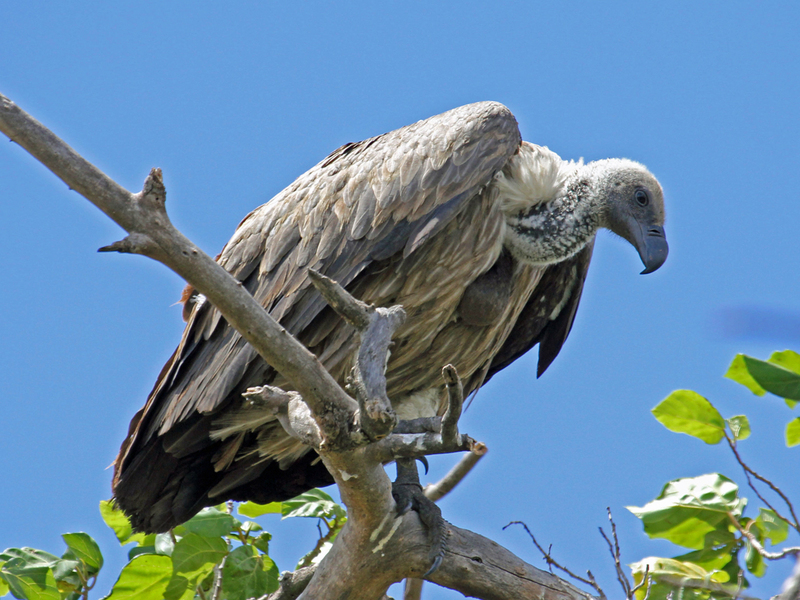 Some cultures use vultures to dispose of human corpses. Dead bodies are placed on pillars to be fed upon by the vultures. In Germany, police have trained turkey vultures to help them find missing people. Because many species of vultures are social, vultures are highly affected by poisoning. Over a hundred birds can be killed at just one poisoned carcass. In many countries, people have set up vulture “restaurants” or feeding sites where carcasses can be left out for vultures. These restaurants help to ensure that vultures have enough food and also help them avoid contaminated carcasses. In South Africa tourists who enjoy watching vultures feed can visit these sites. Vultures are the ultimate recyclers. They can strip a carcass in just a few hours. They keep our environment clean and disease-free. Turkey vultures, like those found in the United States, have one of the best senses of smell among all animals. African vultures, however, use their eyesight to find carrion. Egyptian vultures eat ostrich eggs and actually use rocks or sticks to crack their thick shells.